It's been a(n even) tough(er last) couple of weeks so trying new things in the kitchen has been a real low priority. 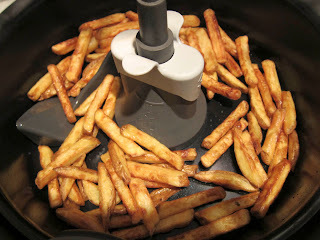 But today I've decided to have another go at making chips. 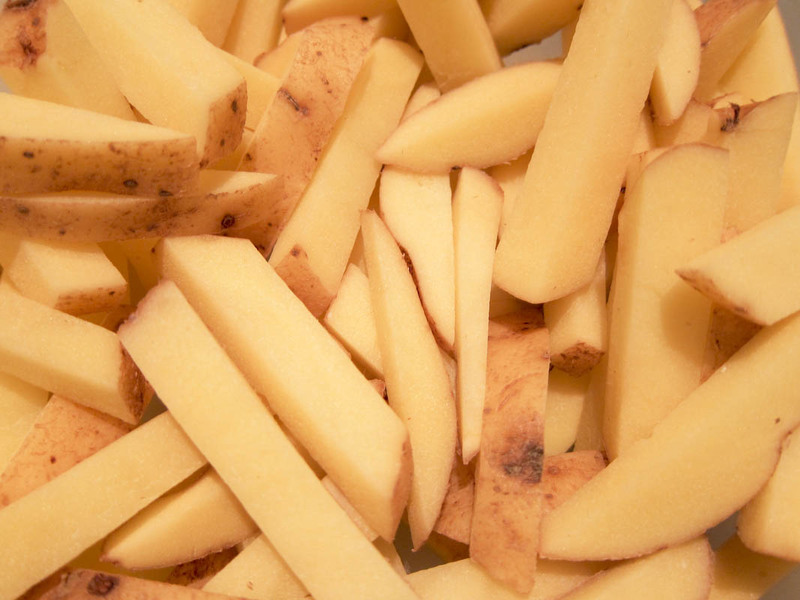 Peel and chip the potatoes to around 13mmx13mm cross-section. Wash the chips thoroughly for 10 minutes in (preferably running) cold water. When the timer goes beep - take them out and lookee lookee, they're, well, a bit less soggy than last time. 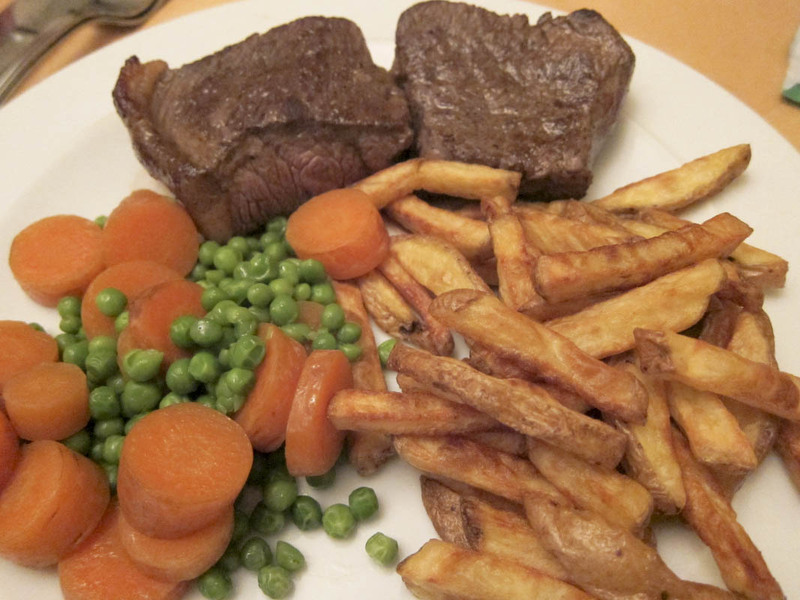 Serve with the steak, carrots and peas and enjoy. Not sure why they're still not crispy, maybe it's the potato variety? 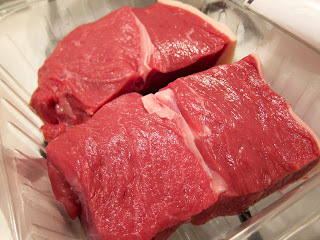 The steak was great though. Yum! The potatoes look great!